Time may be running out for one of Hamas's main weapons against Israel: Its cross-border terror tunnels. 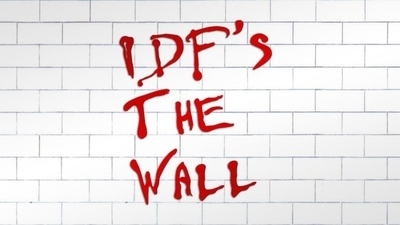 By 2019, according to Israel Defense Forces (IDF) assessments, Israel will complete an underground wall that stretches along the 60-kilometer (37 mile) border with Gaza. The wall is the product of several years of research and development, and is designed to eliminate the tunnel threat to Israeli communities located near Gaza. During the past three years, since the end of its last conflict with Israel, Hamas has invested big resources into its tunnel maze. One of its top goals is to rehabilitate an ability to inject murder squads into Israeli territory through the tunnels. Once inside Israel, they could target IDF soldiers and Israeli civilians for murder or kidnapping, whenever the next conflict breaks out. But Israel has invested far more than Hamas to try stopping that threat. It is paying 150 million shekels ($42.5 million) for each kilometer of the new wall. Work began on the subterranean project in areas where Israeli communities were very close to the border. Then, gradually, other areas began receiving protection. During a conference call held with reporters in August, the commander of the IDF's Southern Command, Maj.-Gen. Eyal Zamir, said the wall will prevent "the digging of tunnels into our territory," adding that work is "advancing according to plan. In the coming months, this project is going to significantly accelerate. We will see an expansion in the scope of the works. Within two years, we will be able to complete work." Many details about the wall remain classified. But IDF sources have previously indicated that the wall will come with electronic sensors. The sensors will issue alerts to military control centers, sounding the alarm about suspicious tunnel digging activity. The control rooms, would, in turn, be able to order action if necessary. Similar military control rooms are popping up along the Gaza border to handle intelligence coming in from Israel's above-ground border fence. Sensors installed on the barrier, together with units from the IDF's Combat Intelligence Collection Corps, are joined by drones, spy balloons, and radars, all feed the control centers with a flow of data, and alert them to suspicious activity. The big question now is whether Hamas will sit back and watch Israel take away its offensive tunnel option, or whether it will feel cornered and strike out, risking a new conflict. "We very much hope we will not be challenged as this [work] continues," said Zamir. "We hope that this quiet will continue, but continue to prepare. We are on high alert." Hamas's military wing, the Izzadin Al-Qassam Brigades, issued a statement earlier this month saying that the underground wall "will not limit the ability of the resistance," and vowing to "find the solutions needed to overcome it." But Hamas is unlikely to launch attacks in response to Israel's wall, Ely Karmon, a senior research scholar at the International Institute for Counter-Terrorism in Herzliya, Israel, told the Investigative Project on Terrorism. "They cannot initiate a military maneuver now. The timing is bad for them," he said, citing Hamas's financial woes, made worse by the fact that Qatar, under U.S. pressure, is cutting off the cash flow to the Gaza Strip. Hamas wants to engage Egypt to improve its isolation and find a way out of its financial crisis. It just opened an office in Cairo. It cannot depend on friends like Turkey, which has a limited ability to provide assistance, Karmon said. "Beyond that, Hamas is under pressure from the Palestinian Authority. A new military clash with Israel will harm them," he said. During his remarks, Zamir said that the "Gaza arena is stable," adding, "We have identified that Hamas remains deterred, and that it is restraining many attacks [by smaller Palestinian armed factions]." At the same time, he said, Hamas is encouraging the flames of terrorism to spread in the West Bank, and is orchestrating terror cells remotely, as it prepares itself for future war in Gaza. That's an assessment that was echoed by Karmon, who said Hamas is most likely to respond to Israel's improved position against the tunnels in Gaza by upping attempts to generate terrorism from the West Bank. Hamas, together with Iran, could try to smuggle rockets into the West Bank, Karmon said, citing a directive by Iran's Supreme Leader Ayatollah Khamenei to assist West Bank terrorist cells. "The Iranians understood that Hamas is deterred in Gaza, and limited in what it can do," Karmon said. As a result, Hamas likely will remain focused on igniting the West Bank, and using it as a launchpad for terrorist attacks on Israel, he said. Karmon cited information unveiled by the chief of Israel's domestic intelligence agency, the Shin Bet, in recent days, which told the government that about 200 terror attacks had been thwarted in 2017. "Most of the big attacks [that were stopped by the Shin Bet] were organized by Hamas, not Fatah," Karmon said. "Hamas's whole campaign is focused on the West Bank, and includes using clans that support Hamas, and distributing propaganda for violent incitement. They are neutralized in Gaza, and are trying to heat up the West Bank." Meanwhile, back in Gaza, Hamas continues neglecting the basic needs of the 2 million Palestinians it rules over, as it remains focused on its quiet military build-up, according to the chief of the IDF's Southern Command. "Many resources in Gaza are going to the Hamas military wing. They could be used instead to improve the humanitarian situation," Zamir said. "We continue to prepare. Reality is explosive. It could deteriorate into a conflict at any time." In addition to offensive tunnels, Hamas has built a maze of tunnels that crisscross Gaza City. Zamir described them as "an underground metro network," designed to move Hamas armed members, weapons, and logistics out of Israel's sight. Yet Israel's Southern Command is watching these activities closely, and preparing a range of solutions designed to enable Israel to turn Hamas's underground city into a large death trap if a new conflict begins. The IDF's Southern Command recently sent out images of civilian facilities in Gaza that Hamas uses as a cover for its military-terrorist activities. One image is of a six-story residential building, which Hamas used to build an underground facility nearby, according to the military. The second photo is a of a home containing a family with five children, which is linked to a tunnel that leads to a mosque, enabling Hamas terrorists to move underground and use human shields as they do. This type of activity "endangers the civilians of Gaza," Zamir cautioned. "We hope that this quiet will continue, but we are continuing to prepare, and are on high alert."